Primary research is crucial to informing our own work of sewing and costume research, as you may know I have started a search for lesser known costume collections within the United Kingdom and Ireland. This is my final post in my lesser known collections series of posts, I have picked out a selection of collections from Scotland, Wales & both Northern Ireland and the Republic of Ireland. Through these posts I hope I have been able to introduce you to some collections you didn't already know about. 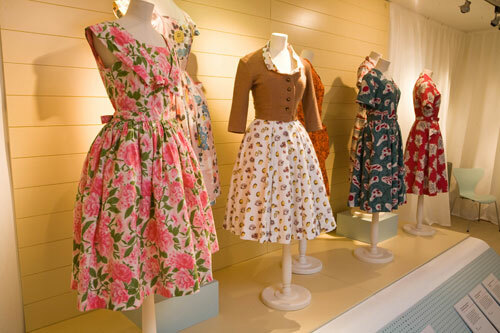 -Has a costume collection but it is not permanently on display, however there looks to be at least one costume or textiles exhibition on across the museum's venues each year. Features a collection of fashion sketches and garments by Bill Gibb; and features a large collection of watercolour sketches by David Allan of traditional Italian and French dress from the Eighteenth Century. - This is a recently rediscovered collection of costume and accessories from the Eighteenth to the Twentieth Century. Highlights include embroidered men's waistcoats from the Eighteenth Century and ladies' clothing and accessories from the Twentieth Century. Not all of the collection is on display, therefore please contact the museum for study enquires. Paid entry, free to National Trust members. - This collection includes a fantastic selection of early Seventeenth Century costume, textiles and accessories. 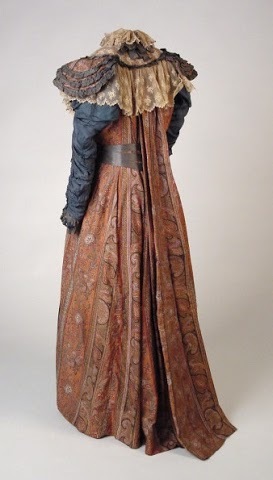 Highlights include a rare crimson silk satin embroidered petticoat believed to have belonged to Anne of Denmark; as well as nightcaps, lace, tapestry, coifs, sweet bags and an embroidered women's waistcoat as seen in the Janet Arnold Patterns of Fashion book. Free entry. - Extensive collection of costume, accessories, and textiles from the Eighteenth Century onwards, focus on items from or produced in Wales. Library collection of vintage magazines, dress patterns, fashion prints and other items linked to costume and textiles. The costume galleries are currently closed for the next year due to major redevelopment, enquiries regarding study visits and when the collection will become available again via the website. Free entry. - This collection contains 2,000 items of Irish and English costumes, mostly female, from the Eighteenth Century to the present. There are examples of religious vestments, legal and academic robes, court dress, and items relating to the design and production of Irish clothing. Research visits must be booked in advance. Free entry. - Large collection of costume, accessories and textiles, with the majority of the costume from the Eighteenth Century onwards. Highlights of the collection include examples of Harris tweeds, traditional wools & tartans, traditional Scottish dress and textiles from the 1400's onwards. Study visits can be arranged in advance through the collections department. Free entry. - This celebrated Costume Collection features items dating from the Eighteenth to Twentieth Century, mostly items made or worn by local people. The current exhibition includes costumes and accessories worn by the Lenox-Conyngham family since 1775. Paid entry, free to National Trust members. 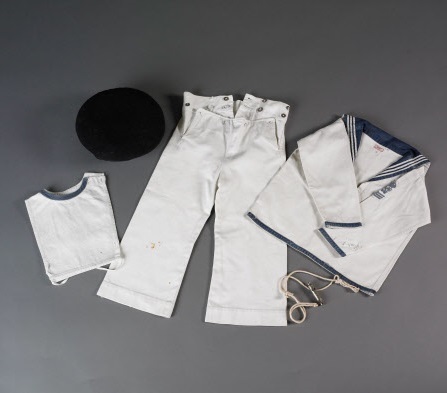 - This collection includes over 1,000 items of costume and accessories from the Eighteenth Century onwards, however the majority are from the period 1840-1910. Most of the collection is women's clothing, but there are equal amounts of menswear and children's clothing. The collection holds an extensive display of Irish lace, linen, embroidery and quilts. The museum also features a reproduction of a drapers shop from 1907. Paid entry. 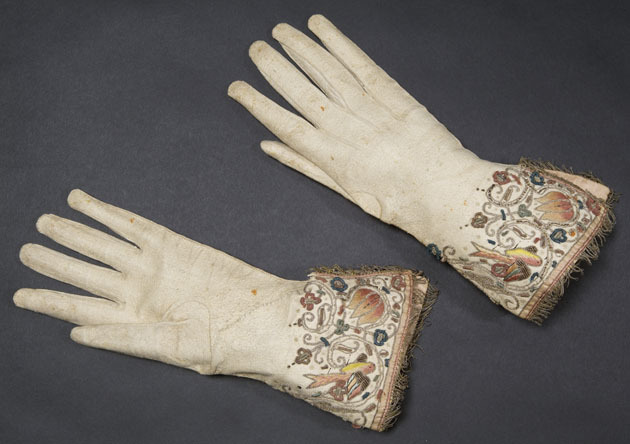 Leather gloves, English, about 1645. Image credit to The Burrell Collection.